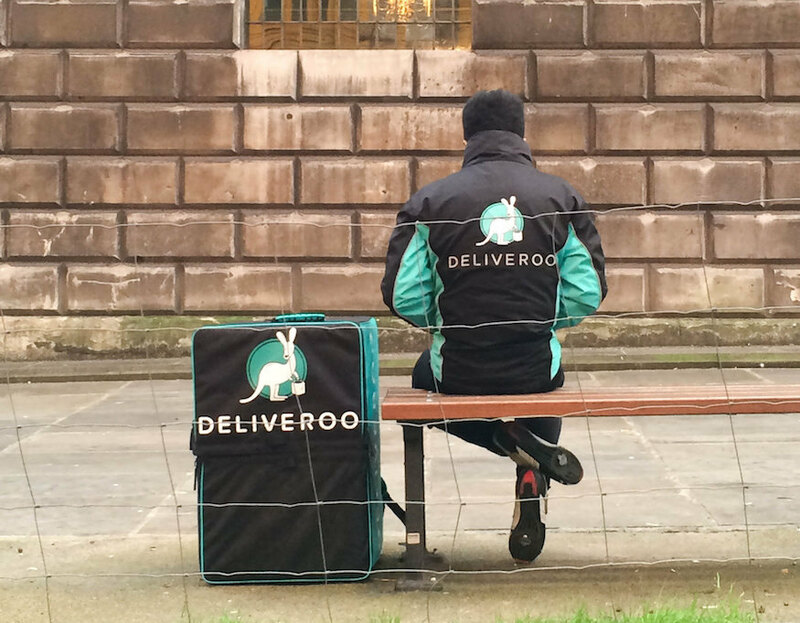 The FT's Izabella Kaminska spent some time working for Deliveroo and accuses the company of using poor worker conditions to power their business model. 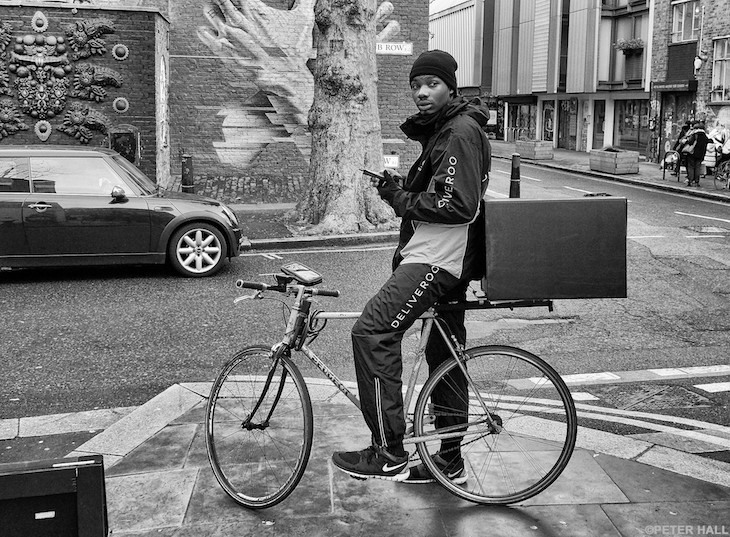 We spoke to two anonymous former Deliveroo employees, to see whether her experience of delivering food around London on a bike correlates with theirs. 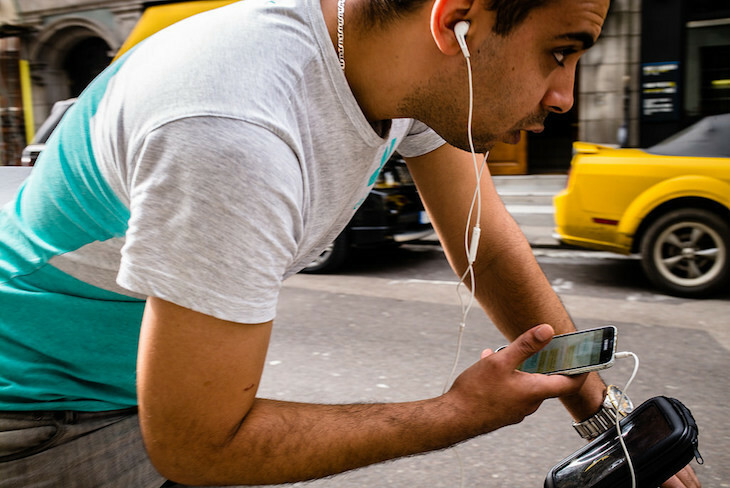 Most Deliveroo workers get paid £7 an hour base wage, with a £1 bonus for each delivery. The cyclist has to pay a £150 deposit for their gear which is deducted from their paychecks, but they get that money back once they quit. The uniform includes fluorescent jackets, a positive for those we spoke to. Some riders loved the lack of structure the business had, describing it as a futuristic experience where they were effectively just answering to a phone app. Occasionally when there were issues they contacted the rider support team, who they spoke incredibly highly of, suggesting their job was a little lonely because of how independent the riders are. They especially relished the challenge the app presented when it would tell them how long it thought the delivery would take, so they could race themselves. To others this was incredibly frustrating, especially when the app broke (a rarity). Deliveroo advertises the role as flexible but this comes into question, as two shifts per weekend are mandatory. However, according to all sources, Deliveroo is incredibly laid back and doesn't enforce the rule with much stringency. One rider said he missed 17 mandatory shifts before the company got in contact with him, at which point he wasn't fired, they just changed his availability to null, meaning he can pick the job up again at any time. In reality, the job's pay varies. One worker earned an average of £8.10 per hour on her shifts. Her sample size is rather small, only five shifts. The riders we spoke to — who did the job over a few months — say they earned more. One rider said they earned an average of £8.83 per hour (still below the London Living Wage), while the other roughly said they earned about £10 (above the £9.75 London Living Wage). The lack of clear structure in the business means that different people had different presumptions about how much they'd earn. One said they were told they'd earn about £12 an hour, which seems to be a bit of an exaggeration. Others said they weren't promised anything of the sort, but it was implied that customers would be more willing to tip than they are (we think that might just say something about Londoners though). They didn't feel shortchanged by the company, and compared it to the pure gig economy model of Uber, which operates only via pay-per-drop, leaving employees more vulnerable. When cycling in London many fear for their safety, because of the large number of bike accidents in the capital each year. One rider didn't deem it safe to ride with the large Deliveroo box on the back of their bike. It meant they had difficulty seeing behind them, which they felt uncomfortable with. The "Roos" we talked to loved the job and spoke of a strong bond that existed between riders on the road. They also found that working for Deliveroo made them popular figures on the streets of London (excluding with cab drivers). They pinned it down to the universally-loved kangaroo adorning their gear, saying that as they weaved through the city, Londoners smiled at them. Ultimately being a Deliveroo cyclist will suit different people differently. Both of the riders we spoke to were students looking for extra income over the summer break, whereas those treating it as a full-time job might take a different view. Read more about Kaminska's full experience and find out about Deliveroo riders' attempts to fight for their rights and build a union. Note: the riders pictured here are not the Deliveroo workers we spoke to. Any opinions on Deliveroo or the gig economy in London? Let us know in the comments.